It's D-D-D-DIGEST TIME! What has the week been like this time in the Land of the Winking Wota? This week we have had a lot of Idol news, including Illnesses! Short PV's! A major Debut! A group is returning to their activities and so much more! Yes, this week has been filled with a great amount of Idol news, and seriously, I could not be happier. I was truly kept on my toes this week with the amazing amount of fodder coming through to feed this blog. Woohoo! Anyway, enough has been said! Let's get onto the next part of the Digest! I really had no clue what PV I would use for this week's Video, but then I thought about how much I love this freakin' song and how I really need to post more Dream5 on this blog... that and I was jamming to Shekimeki at some point this week and decided to let you all know just how fantastic this song is! Seriously, you need to check it out - their energy is out of this world and it's just so wonderful! There is no poll of the week this time around, however I do have a beautiful gif to share with you al! Just take a look at it in all its glory! This gif really makes me think that Eripon will, at some point, become the boyfriend character in Morning Musume, much like JunJun was the boyfriend character to Reina's Girlfriend character. To be honest, I would actually love to see some skits of Eripon as the boyfriend character for either Fukuhime, Sakura or even Zukkini! Okay, that's all of that done! Now let's get to the important part!!! Hello! Project and STARdigio are collaborating for the 15th Anniversary of Hello! Project. Hearing about a collaboration is great news, especially when the collaboration is outside of Tower Records and B.L.T. This time it seems that Hello! Project are collaborating with a radio show where the members of each group will be able to pick their favourite songs to play. It seems that fans will also be able to send in questions to the show. This is a great opportunity for Hello! Project. Hopefully fans will be able to tune in if they are interested! JIJIPRESS have uploaded footage from Morning Musume's recent Tower Records event where the girls promoted their new single, Help me!!. Someone please get Riho some damn auto-tune until she grasps some form of control over her voice, and for now, get me some ear plugs. Thanks. JIJIPRESS have uploaded footage from Suzuki Airi's release event for her book Perfect Book ~Airi Al~. Let's just say that Airi is perfect, as an idol and a singer... Airi~i. The book looks like it is full of win, by the way. It has been decided that Bakusute Sotokande Icchome will be having their major debut! To be honest, I am genuinely surprised that BSI will be getting their major debut so soon! I was actually expecting the girls to announce their debut later on in the year, or even in 2014, but certainly not now! Regardless of how I think, it's wonderful to hear that the girls have been able to impress their managers enough and to progress so much for them to result the group with their major debut! Congrats to the Bakusute girls! 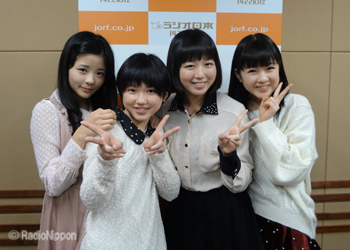 It's surprising to see that the S/mileage 2nd gen girls will be getting a new blog specifically made for their radio show, however this will be a great way for fans to follow the girls and their radio podcasts! From a recent Asian Beat article, it has been revealed that LinLin will be debuting as a solo artist in China this Spring. LinLin also hopes to one day sing for an anime in both Chinese and Japanese to bridge the two industries together and break down the cultural barriers. It's been a while since we have heard from LinLin, though most will already know that she is very strong in the cosplay world right now. Of course hearing about her solo debut is amazing, and since she has had to train and work hard in a different music industry, it will be interesting to see how her debut album will turn out. Here's to hoping a few snippets of songs will come out soon! Morning Musume's Dance video for Help me!! reached over 1.5 Million views! Congrats to the MoMusume girls! It has been announced that Kitahara Sayaka will be releasing her first album on March 6th. Damnit, these girls are like ninja's! o-O But by god, I am happy! Bakusute Sotokande Icchome now have an official Facebook page, so go check it out and like it if you are a fan! The UFP Profiles for Tasaki Asahi and Miyazaki Yuka are now available. A 30 second preview for Station♪'s up-coming single, TO・KI・DO・KI Fumikiri has been released through Station♪'s official youtube, so please check it out! The song is very cute and quite bubbly in a way, and the video seems to have a very playful, friendly feel to it, showing the connection between the girls and their friendship as they play around and spend time together. It looks like a really cute video, and I look forward to seeing the rest of it when it is eventually released! A 30 second CM for Morning Musume's up-coming single, Help me!! has been revealed, showing a faster-paced version of the vieo. AKB48's 30th single will be titled So Long! and will be released on February 20th, 2013. There will be three CD+DVD limited and regular editions in Type A, K and B as well as a CD only Theatre edition. Type B will also contain the music video to AKB48's song Sugar Rush. Well, after being Sour Lemons, it seems that they're taking on Mushroom heads next! And I bet their funny antics will STILL win people over because damn, they be AKB48! Also... PARURU! AND MAYU!!! Yesh!!! 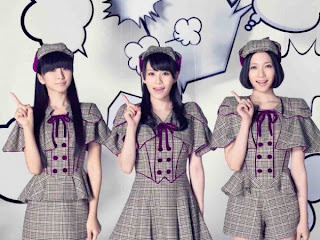 Perfume's new single, titled Mirai no Museum, will be released on February 27th, 2013. The song has been described as a pop song that expresses a magical future. The song is being used as the theme tune for both the Doraemon movie that will release in Cinema's from March 9th, as well as the up-coming anime series which wbegan airing on January 11th. I actually wonder how Nia will handle the song if it sounds like an Idol-ish pop tune that's so vanilla you can barely taste it. She says she doesn't mind it, damn! NMB48's first album will be titled Teppen Tottande! and will release on February 27th, 2013. There will be four editions of the album available; Type N, Type M, Type B and a Theatre Edition. Type N, M and B will contain a different DVD's for each version. There will be 15-16 tracks included in the album, including NMB48's previous singles, 7 new songs and other popular songs. 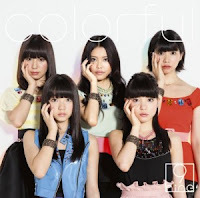 Covers and details for 9nine's upcoming single, Colorful, has been released. The single will be out on February 6th and will also be used as the theme song for the anime movie STAR DRIVER THE MOVIE. I love 9nine, and I'm always awaiting on new informtion regarding whatever they are next releasing, so to see the covers and a track list for their new single is great news for me! I'm very surprised to see that the DVD's will include live footage, but it's great to see that 9nine will be showing their performance to fans who could not attend by adding it to their latest single release! More back stage footage for Hello! Project's 2013 Winter concert has been uploaded. The backstage footage is a great way for all fans to see how things go on backstage for the Hello! Project concerts as well as to take a sneak peak at what is to come for the DVD when it is eventually released. With this video, we are able to get comments from various Hello Pro members as well as see the surprise of selected girls coming out into the venue itself off stage to the fans who seemed surprised to see the girls before them. It's a great video to watch, so please take a look! C-ute's Profile images have been updated, so go and check them out! C-utes latest profile images show the girls in their outfits for their new single, Kono Machi, which will be a cover song of Chisato Moritaka's. The dresses are very uniformed but cute, showing a more mature and sweet look to the C-utie members. Other than Maimi's derp face in her profile image, the girls all look really good, especially Airi and her beautifully fitted blouse/top/thing. Mai's hair is so blonde now, but it's so gorgeous and reminded me instantly of Yossie for some reason! And wow, Chissa's hair, too! 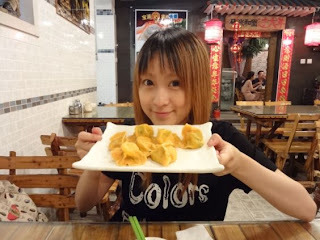 I was surprised to see that the two youngest of C-ute had both gone blonde... and my lord, Nakky, why you so ERO-KAWAII? It has been reported that Sato Masaki has been diagnosed with left cervical adenitis, which is a condition which often occurs in children. Masaki will continue to receive medical treatment, and will also be absent from the January 12th and 13th performances of Hello! Project's Winter concerts. It has also been reported that her future activities will be decided upon the progress of her condition. Hearing about the illness and what it is exactly is pretty damn scary, I will admit, especially when Masaki is so young, too. When I read the part about her future activities a while before now when information was first leaked about her being ill, I was worried, but seeing it again makes me worry so much more. Sadly, all we can do is sit tight and hope that Masaki pulls through this illness and returns to her activities as soon as she can. Both Katsuta Rina and Wada Ayaka have been diagnosed with Influenza. Due to this, the S/mileage release event for Samui ne on January 14th, 2013 has been postponed until further notice. Also, due to her illness, Katsuta Rina will be unable to participate in the Hello! Channel handshake event on January 16th, 2013. Wishing both Dawa and Rinapuu the best and hoping that they get better soon! An official website for Dracula: Te Musical has been created. The musical features Natsumi Abe as Mina. Eripon has a boyfriend face... as in, she has an over-protective, boyfriend like aura about her in this image, especially with the way she is turned and how she's looking at the camera as she stands next to her girlfriend/brother, Haruka... Yurp. Boyfriend face. By the way, they all look good but Masaki and Sakura look super awkward. A high quality preview for Perfume's up-coming single, Mirai no Museum, has been released. The main song is being used as the theme song for both the Doraemon anime as well as the up-coming movie in March. When I start showing interest in you guys, you go down the anime-cutesy-idol-no-musical-diversity route? Hi, I'm losing interest again. Yes, the song is cute, but damn it isn't something a new fan wants to get into when you think of Perfume as a womanly, mature group with a great amount of diversity when it comes to other singers in the Jpop industry. Makes me wonder how Nia's taking this one... Very well. Again, damn! Junior High school Idol unit Otome Shinto will be releasing their debut single Mousou★Koukan Nikki on Feruary 20th, 2013. The song is the current opening theme for the anime GJ-bu. HOW HAVE I NOT HEARD OF YOU UNTIL NOW? You guys are ADORABLE and pretty damn good singers for kids... I usually hate kids' voices unless they know how to sing! Here is the short PV for Otome Shinto's debut single, Mousou★Koukan Nikki, which will be released on February 20th this year! The PV shows the girls in the form of Junior High school reporters or ambassadors as they try to charm the people around them. There are also clips showing the girls in cute Idol costumes when they dance. I know that this was released, like, last year and all but so what... I wanted to post it cos damnit this is cute!!! Due to a high fever, Tsugunaga Momoko will not be present at the January 12th and 13th concerts for the WANT! release event. UPDATE: Due to influenza Momoko will not be able to attend the January 16th event for Hello! Channel volume 11. PASSPO☆ have released the short PV for their up-coming single, Sakura Komachi. The video shows PASSPO☆ in a more mature form as they lay amongst the falling cherry blossoms, and the song shows a cooler, more mature side to the girls that we have not experienced yet. Covers for PASSPO☆'s up-coming single, Sakura Komachi, have been revealed! The single will be released on February 13th 2013, and will be the groups first single release of the year. There are three editions available; First Class, Business Class and Economy Class. Whilst the covers are pretty small, you can see clearly what they look like, and to be quite honest, these covers are very similar to previous covers that PASSPO☆ have had; not that that's bad, because honestly, I love that they keep a theme going with their covers. It's simple, but it works really well and looks great. A radio preview for Morning Musume's Help me!! 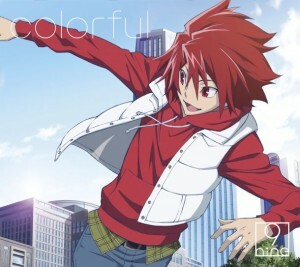 coupling song, titled Happy Daisakusen, is now available for fans to listen to! 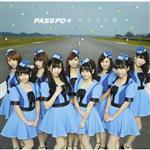 The song is a cute and happy pop tune which shows off Morning Musume's strength as a group right now. I was surprised to see a preview for the song, but I am so happy that a preview has come out because it's a great song and really makes me feel happy with how Morning Musume is right now. It's lovely to listen to, and so different from any other recent B-side I have heard from the Colourful Era. Everyone sounds amazing, and I feel like this song is here to play up to the strengths of everyone's voices and show off their strengths as singers and how much they have improved. It's a wonderful song, and very enjoyable to listen to. I love it! 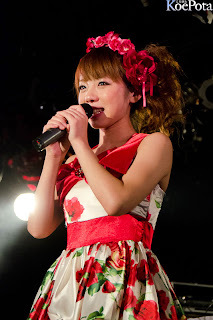 StylipS member Noto Arisa will be releasing a solo album this January. It will be titled Hello, Little Monsters and is scheduled to release on January 20th. The announcement itself is a little late, especially since it's so close to the 20th, but it's great to see that Arisa is able to have her own album and perform for her fans. The title is cute, but it reminds me of something Lady GaGa would have for an album title. Well, whatever... congrats to Arisa/buggy! It has been reported that Kudo Haruka is ill, and so was not able to attend the January 14th release event for Help me!!. The radio preview for Sayashi Riho and Oda Sakura's duet song, titled Suki Dakara Zettai ni Yurusanai, has been released. The track is present on the Regular Edition A for Morning Musume's 52nd single, Help me!!. To be honest, I don't know what to think about this song really... I'm somewhere in the middle with it, I guess. I don't hate it, but I don't like it either... basically, I care very little for it right now. It has a cooler sound to it than I expected, and some parts remind me of Help me! !, SONGS and other sounds from Morning Musume (don't ask which ones, I'm still trying to figure it out, too). It's a weird song, I guess, but it isn't necessarily bad, either. Also, it's very apparent that there is a rawness of vocals, and a pureness; the raw being Riho and the pure being Sakura. Their voices are so contrasting, and it works in a strange way, though it's undeniable that Riho is the weaker singer here, much like Ayumi in Daisuki 100 Manten I guess. You can really hear how poor her vocals are when you put both Sakura and Riho together, though this song showcases her voice a lot better in my opinion. AKB48's Shanghai based sister group, SNH48, have made their live debut. Their first performance was on January 12th 2013 here the girls sang the Chinese version of AKB48's popular song Heavy Rotation. I'm happy to see that SNH48 are finally getting given activities, because outside of my interest for the Japanese based 48 groups, I have a particular interest in SNH48 because I quite like the sound of Chinese music. Their version of Heavy Rotation is also, by far, my favourite version of the song because it sounds so soft and pretty. As I said, I am happy to see that they have debuted. Now, when will they release an original song, aye? A clip from SATOYAMA Life showing footage from the Hello! Project Viva/Bravo live has been uploaded. The footage focuses on Oda Sakura's performance debut as a member of Morning Musume, as well as looks at the new and up-coming releases from each group. Footage from GiRLPOP TV has been released highlighting Oda Sakura's single debut in Morning Musume, with footage showing how the PV has been made and some interview footage with a few members of the group. Another interesting piece of footage that fans will be able to enjoy, especially fans of Oda Sakura. It's great to see that 11th gen's sole member is getting a positive push and quite a bit of media attention. Hopefully all fans will be able to check out the video and enjoy! Suzuki Airi will be on the back cover of BIG ONE GIRLS magazine which will be out on February 8th, 2013. Well, isn't that a, er... wonderful title for a magazine? On January 13th 2013, it was announced that 9-member Idol unit Cheeky Parade will hold their first group-only live performance at the Nippon Seinenkan on October 14th 2013. Whilst I don't actively follow Cheeky Parade, it's great to hear that the group have secured a date and venue for their group-only live. Hopefully all their fans within the area will be able to attend and enjoy a cheeky performance from this group! On January 14th it was announced that Idol group Shiritsu Ebisu Chuugaku, also known as Ebichu, will be providing the ending theme for the new Pokemon series Pocket Monsters Best Wishes Season 2. 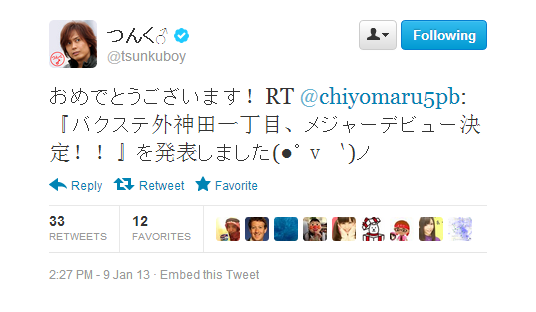 The theme song will be titled Sakura-Go-Round and will start airing with the anime on January 17th, 2013. It's great that Ebichu are able to sing the ending theme for such a widely loved anime series like Pokemon! 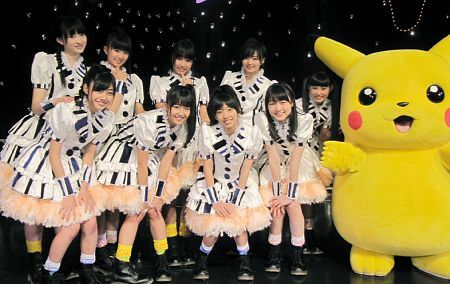 I love Pokemon myself and most of the theme tunes, so it will be great to her what Ebichu will be singing for the anime! AKB48's Kashiwagi Yuki was able to meet and interview her Idol Ishikawa Rika who is an ex-Morning Musume member from the 4th generation. This talk will be included as a bonus track in Kashiwagi's up-coming solo debut single, Shortcake, and will be available on the Theatre edition of the single. Whilst I am not a fan of either of these girls (I wonder how many of you want to pelt me with raw eggs right now...) I think that it's amazing that Kashiwagi Yuki was able to meet one of her Idols. It's known by many fans that Kashiwagi Yuki is a H!P fan, so it's wonderful to hear news that she was able to meet with IshiiRika and talk to her. Hopefully many fans will be able to check out the interview when the single comes out and support both KashiYuki and IshiiRika! The covers and track list to Kashiwagi Yuki's solo debut have been released. The single titled Shortcake will be released on February 6th and will have seven different editions to choose from. The covers are extremely simple, but very pretty and well executed in my opinion, and somehow remind me of valentines day... the name also sounds quite Valentiney, doesn't it? 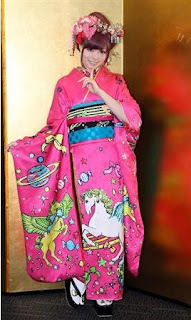 "I aimed to be the most flashy new adult in Japan,"
Kyary will be turning 20 years old on the 29th of January. Idol group Sea☆A have announced that they will be releasing their first album this year on March 27th! Whilst this is the only update concerning the release of the album, it's great to hear that Sea☆A will be releasing it! I love Sea☆A and they really deserve to release their very own album for all of their fans to enjoy! Please keep your eyes open for any more updates, and remember to reserve a copy if you are a fan! 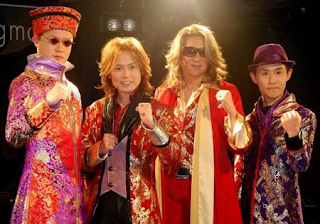 It has been announced that Sharam Q will restart their activities for their 25th Anniversary this August with a live tour as well as a re-recording of their hit single, Single Bed which will be released this April. Thrugh her blog, Mano Erina has revealedthe covers and track list for her final Hello! Project album album to her fans. 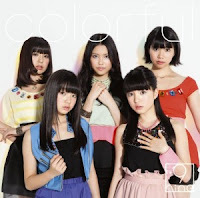 The LQ covers for C-ute's up-coming single, Kono Machi, have been released. There will be fiver versions of the single available, from Limited A-D as well as a Regular edition. It's great to see the covers are out for all fans to see, and whilst they are pretty small, these previews can give us all a good idea of what to expect when the HQ covers coe out. It seems like the theme for the covers is very simple and quite natural, with the only exception being the Liited C's colourful cover. If you love C-ute's Kono Machi, then please reserve a copy! A website dedicated to the release of Morning Musume's 52nd single Help me!! has been set up. Please go and check it out! It seems that Hello! Project are continuing to release websites dedicated to Morning Musume's releases since One Two Three was released last year, and personally I think that continuing this form of promotion is great! It's new for H!P, but it also gives fans somewhere to look when they want to find out more about the single or the members. Hopefully everyone can check out the website! 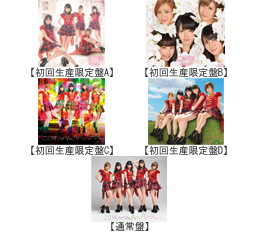 The Morning Musume Colourful Character Live 2012 photo book will be released on February 12th 2013. I was unaware that a photo book for the concert would be released, however it's great to know that Sayumi's first concert as a leader will be recorded in photographs for all fans to keep. Hopefully those who are interested can reserve a copy. Yus, and someone else did get ill; MOI... oh you mean in H!P? Oda and Pon are so good together, and I think Eripon is the generation mate that everyone seems to get along with and/or rely on. Nice article, Chiima!! Want to read more from you! !